IS YOUR BUSINESS STUCK IN THE PAST? NEEDING ADVICE? Don't worry, the future is bright! This is more than social media, business innovation and making lots of money – this is about your life. Combine being who you were always meant to be with a winning formula for achieving success, business growth and profit. More Profit, Purpose and Fun! Baz Gardner and The Social Adviser has gained a second-to-none reputation as teachers of practical business techniques and solutions in the field of digital and social media that are proven to assist business professionals in achieving sustainable success and business growth in a fun and efficient way. Most importantly all of our content is delivered with an understanding of how to make change happen within the confines of Business As Usual. We understand the roadblocks, thought process and desires of business professionals and our purpose is to empower you to deliver and receive far more value with less of your precious time. 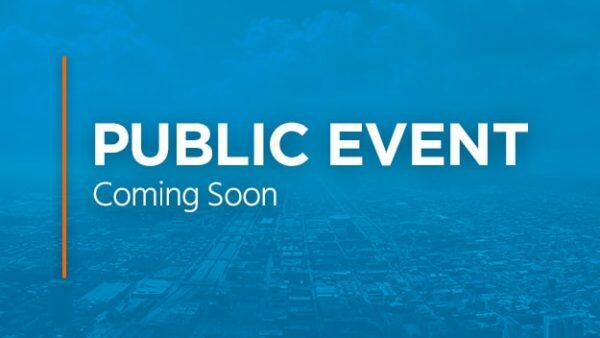 Keep an eye on this spot for details on our upcoming Public Events! 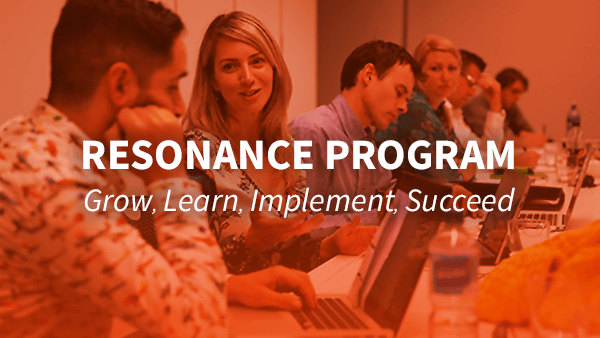 Think of the Resonance Program like a club that has everything you need to help you master the art of business in a connected world. Access free tips and training to launch yourself and your business to the next level plus get exclusive discounts and invites to our workshops and events. We have worked with hundreds of Professionals, Entrepreneurs & Business Owners to create radical evolution in their business success. At the time of writing this, Rob has been working with us for over 18 months. During that time we have helped Rob to reinvent and pivot his Advice business based on a far greater level of personal and business clarity. As a result, he has been able to increase his fees and focus on his ideal clients, delivering a greater experience in a far more efficient way. There are always challenges to be faced as a Business Owner and to us, Rob epitomizes the willingness to ask for and take on board the right help. Emily enrolled in Resonance less than 4 months ago after attending our National Conference AdviserEdge at the start of the year. Emily was a little skeptical about the first 3 months of the program and wanted to skip ahead to the more practical application components. It took a little convincing from Baz that Ignite was, in fact, the part that Emily needed to do the most. The changes we saw in Emily after just 3 months were astonishing and it would not be possible to put into words what those changes will mean to her business performance and the impact she will have as a Founder, Leader and Change Agent in the future. Paul has worked with The Social Adviser team for more than 5 years. In the early part of our work together he was considering his ‘retirement’, his business growth and personal mojo had been stagnating. Since that time Paul has outgrown his business partners, rebuilt a new team, finds he has a steady stream of ideal new clients walking in the door and his idea of the future is ‘more of this please’. Paul has created an efficient business that is able to do just about everything you can imagine in a digital and connected world, from digitising his client engagement to filling events through social media. Before working with The Social Adviser, Dominique was already building a significant personal brand, however, the brand and business direction were inconsistent with Dominque as a person, in ‘message’, personality and purpose. Baz took the confronting step of pointing this out to Dominque via a LinkedIn message! Dominique has since radically changed much of her business plans and is building a personal brand that will establish her as an iconic change agent and leader. She has been a star on a Channel 9 television series on investment and is currently using Facebook and video to reach and resonate with her chosen audiences, and of course, to deliver advice in ways and at a scale that has not been seen before. Baz met Dave in a LinkedIn chat group, where he admitted that his Business Partners had just given him a 360-degree review that indicated he lacked innovation and needed to increase his contribution to the reputation and growth of the business. Dave has worked with The Social Adviser over the last 4 years through a variety of programs that have helped him to evolve his brand and business leverage. He has also starred on Channel 9, is regularly sought in the Press and has since founded a new firm which is growing at an unprecedented pace. Dave attributes Ignite (the first 3 months of the Resonance program) with taking his social media results to a new level. Sean first contacted us when he was preparing to make the move from employee to business founder. We suggested Sean come along to our one-day event, LaunchDay, so that he could get a handle on how we teach business owners to make growth easy. Sean decided, that despite a standing start, he would invest heavily in working with us. Sean started out by purchasing a small book of clients, and in combination with his Authentic Brand Matrix, Sean has been systematising his service touch points using technology, multimedia and our proprietary process of ‘contextualisation’. Within a year he has experienced dramatic growth and is launching new divisions. The purchased clients are happier, referring, paying more and take significantly less time to service. Sean is now preparing to launch his personal brand, to take his business within the first few years where most would be lucky to get to in one. When we started working with Matt, the focus was on becoming a better Adviser and a better Business Leader. Like most of the people we work with, Matt soon discovered that unlocking your greatest business leverage is also about unleashing your own Personal Awareness. As Business Owners and Professionals we all have blinkers which hold us back in how we engage clients, lead teams, communicate our message, innovate, and live our lives. Matt has made radical improvements to his business position but we prefer the part where he tells us that working with us has made him a better father and husband. Baz met Brett’s colleague Ron, the Founder of Future Auto, a chain of Automotive Service Centres in Queensland, when his car broke down on the way home from the airport after an overseas speaking engagement. The tow truck dropped the car at the workshop at midnight and not only was Ron there by random chance but he also insisted on driving us home! The ensuing conversation was about old school business, using new methods of leverage and the large amount Future Auto was spending every year on radio advertising. It wasn’t long before Ron and Brett had joined our Resonance Program. Brett is the driver of these new strategies and Ron is the visionary influencer and frontman. They are using the principles in the program to recruit new franchisees and to change their message to the public, adapt their business model and shift customer growth from radio to LinkedIn and Facebook for lower cost and greater reach and return. Stephen decided to enroll in the Resonance program after attending our National Conference AdviserEdge, and having a pointed conversation with Baz about his brand and marketing. Like many successful businesses we encounter, Stephen had already committed serious resources to produce video, content and the digital marketing of his business. Whilst these efforts were producing some results, we call the methodology employed ‘the hard way of doing things’. In less than 4 months, Stephen has exponentially improved his results, is creating a plan for a far more saleable business model (that relies on him less) and is looking to enroll more of his team members in the program. One of the best steps Stephen took was to also enroll his Marketing Manager Ryan Wood so he could do the program alongside him. Not only does Ryan now have far more context, but he can directly support Stephen to implement. Don’t expect to get 'the usual' business rhetoric from Baz, he's an adviser and business owner first and knows there's only three results that matter: more clients, more time, less cost. Don’t expect to get 'the usual' social media rhetoric from Baz, he's an adviser and business owner first and knows there's only three results that matter: more clients, more time, less cost.